Blog | Traveling Tips in Madrid | What time is it in Madrid? Madrid is located in the GMT+1 or GMT+2 time zones. Spain, like most European countries, uses daylight saving time program. The time changes regardint the Daylight saving time or summer time program take places the fourth Sunday of March and the fourth Sunday of October. In March you should forward one hour and in October back one hour. That means that Spain is in GMT+1 zone in winter from October to March, and in GMT+2 zone in summer from March to October. Even though, Europe comprises seven times zones, Spain –the whole country- is located in the same zone. That means once you adjust your watch in Madrid, you should not be worry any more about the time. 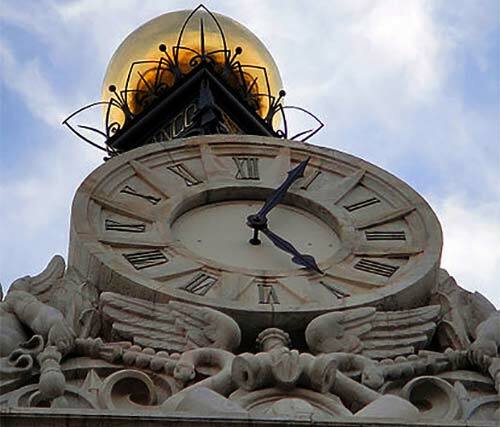 Daylight saving time causes a later solar noon than the clock noon. This means that the warmest hours of the day does not happen to meet the noon hours. Especially in summer, avoid being outside in the sun between 2:00 and 4:00 p.m. Also, remember to drink enough water and avoid strong physical activities around this period of the day. Solar noon is the perfect time to enjoy Madrid’s museums!